The mathematics teaching at Crossacres Primary Academy is aspirational as we aim to equip all pupils with the skills required to not only be successful during their time at school but also within the wider world. Solve increasingly sophisticated problems. We also expect that the majority of pupils progress through the curriculum at broadly the same rate. Planning is supported by the use of the ‘Maths – No Problem! Primary Series’ which uses an approach first developed in Singapore. The scheme addresses the aims of the mastery curriculum and provides lessons that have been carefully crafted as a result of mathematical research. The mastery approach is based on pupils being taught longer units of work over the course of the year to ensure that they have the time to cover the different areas of mathematics in more depth. 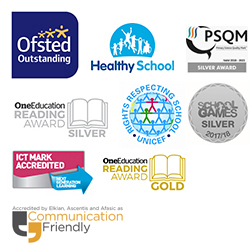 We have developed a mastery approach to the curriculum and this is explained below. Coherence – small steps of coherent development are planned for within lessons. Representation and structure – mathematical concepts and problems are shown through the use of concrete, pictorial and abstract representations and attention is drawn to patterns and relationships. At Crossacres Primary Academy we follow the National Curriculum for Mathematics, which can be found here.